Nova Scotia is a province of mostly small towns. 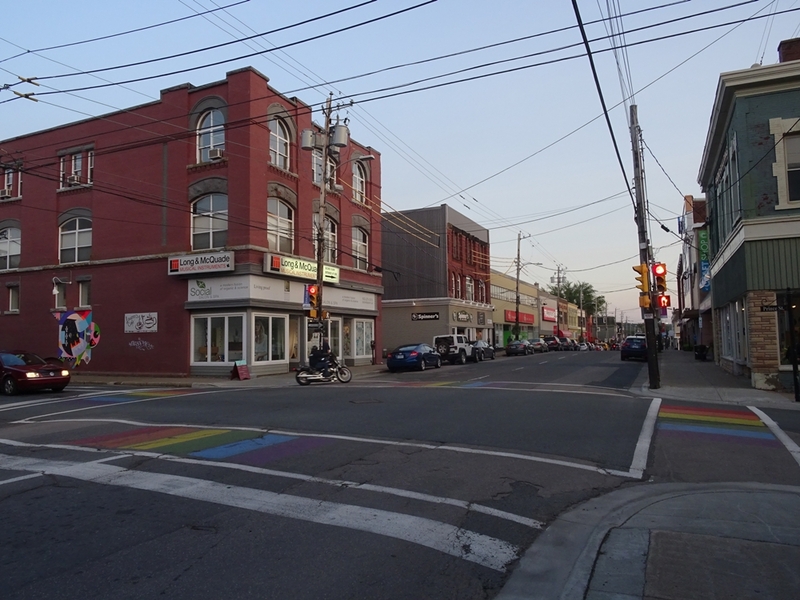 The only sizeable (to some degree) community is the capital, Halifax. And that’s where we decided to stop for a day. 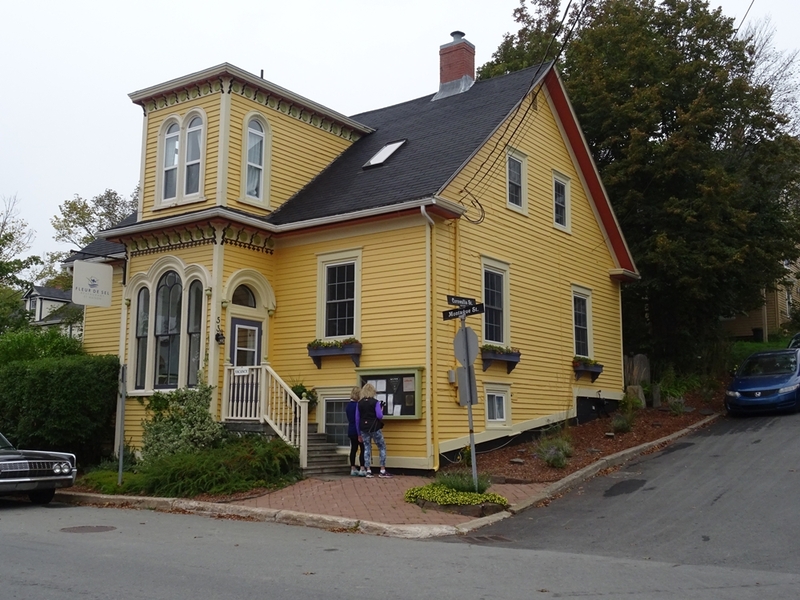 We booked ourself into a hotel located in a pleasant neighbourhood, full of old colourful wooden houses, and then headed into the centre of the town. 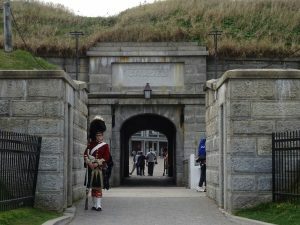 Just 10 minutes later we reached our first stop, the Halifax Citadel (located on rather unimaginatively named Citadel Hill). 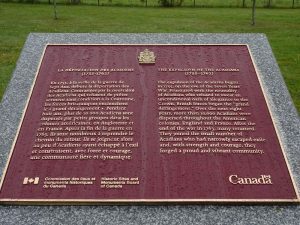 It was established by the British in 1749 as a counterbalance to the French stronghold of Louisbourg (which we visited previously). 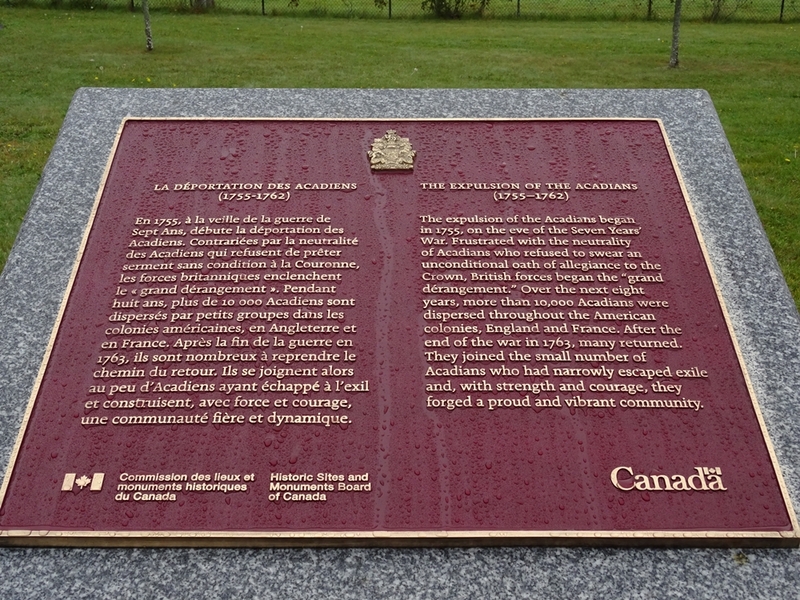 Halifax played a pivotal role in the following decade, in the Anglo-French rivalry in the region. But the current impressive, star-shaped, fortress was actually built much later, during the Victorian Era (it was completed in 1856). 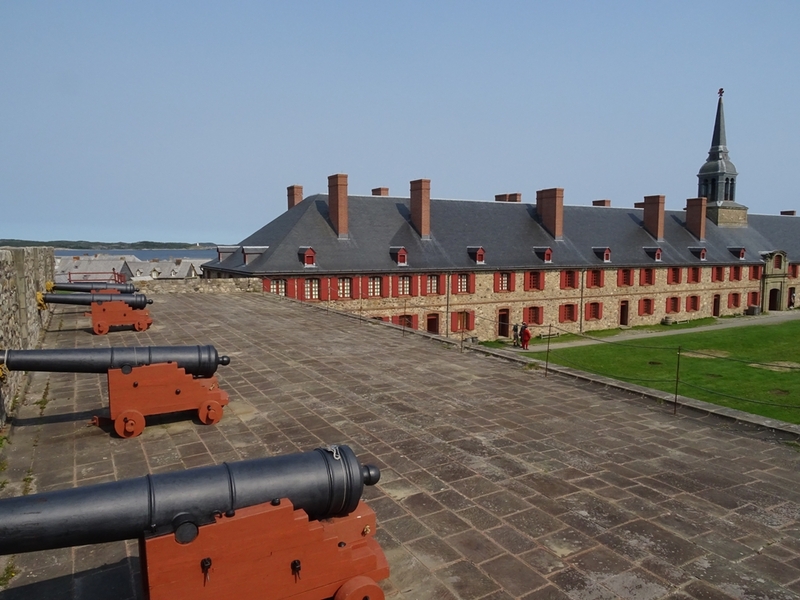 The site is run by Parks Canada and is one of the most visited attractions in Eastern Canada. Luckily on the day of our visit it wasn’t too crowded (travelling outside the main season has many advantages). 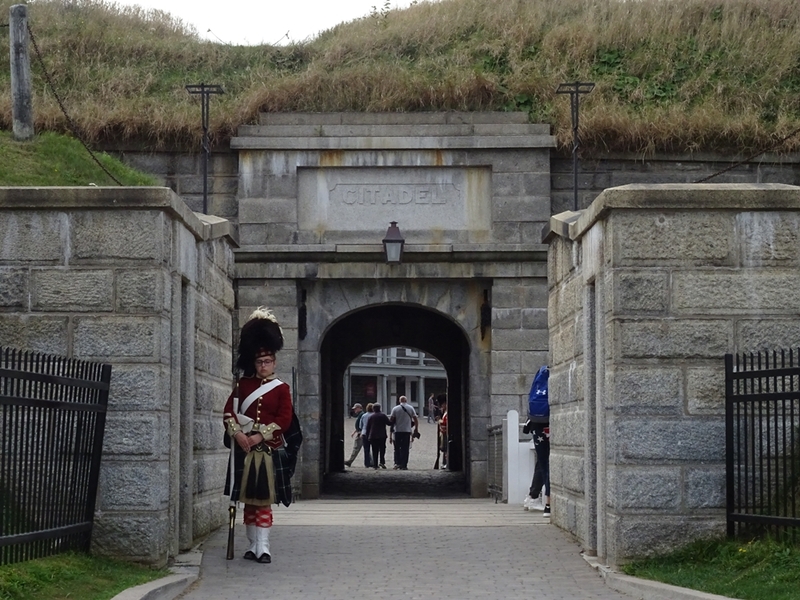 We entered the fortress via a drawbridge and a massive gate, manned by staff dressed in historic uniforms. Specifically dressed as soldiers of the 78th (Highlanders) Regiment of Foot with their tartan kilts, sporrans, red coats and impressive headgear. They looked splendidly “Scottish”. 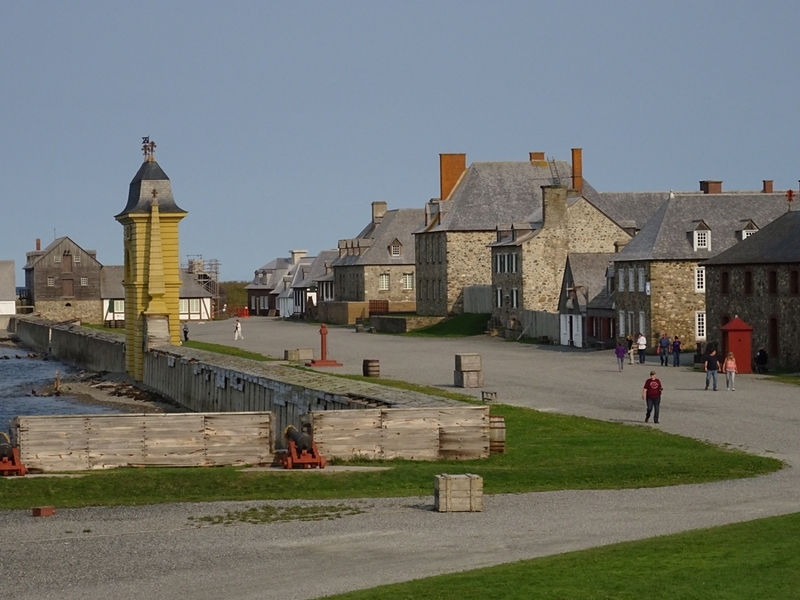 Inside there is an interesting exhibition about the history of the fortress and the town of Halifax as well as some military gear displayed, but overall the site is far less interesting than the fascinating Louisbourg. 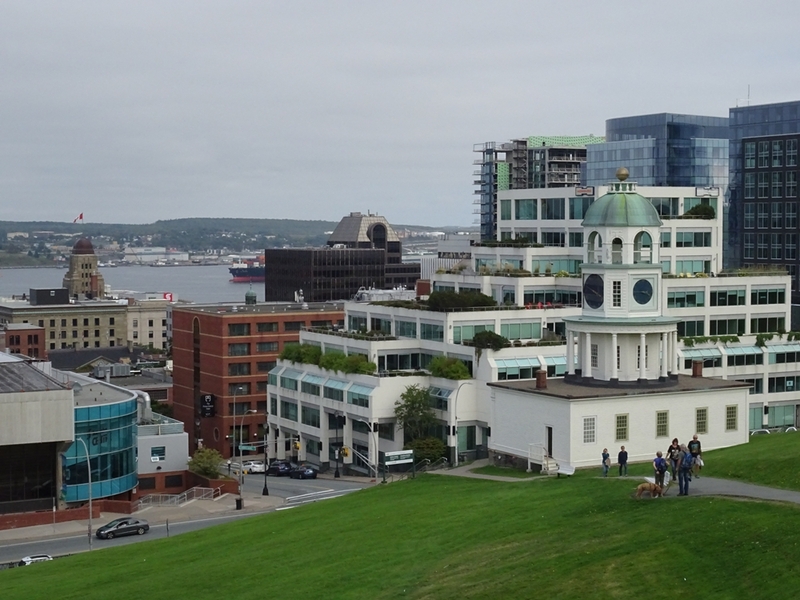 In my opinion the best aspect of the citadel are the amazing views from the ramparts, especially towards the downtown, the harbour and the town of Dartmouth on the other side of the Narrows. Halifax downtown, with its few modest skyscrapers, is located directly below the citadel, with the street grid stretching all the way to the harbour. To the left we could see quite an impressive suspension bridge connecting Halifax and Dartmouth (Angus L. Macdonald Bridge) while to the right we could see the Georges Island (with some fortifications, albeit on much smaller scale than the citadel) and the harbour stretching eastwards towards the open Atlantic. 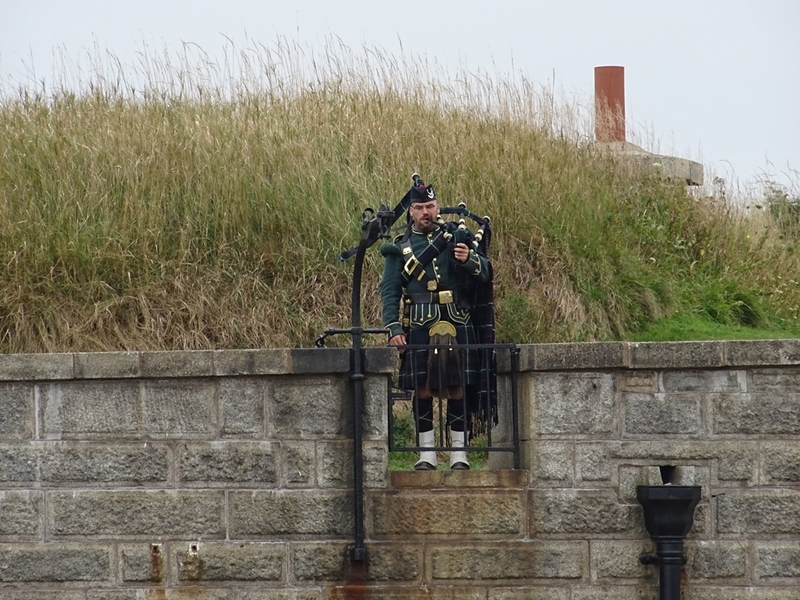 After taking same photos (and listening to a lone piper) it was time to go down (literally) to the town. As I mentioned, Halifax downtown doesn’t have impressive skyscrapers, one can clearly see that it is town of modest size (the whole metropolitan area has a population of around 400 thousands inhabitants). Still, we wandered around for a bit, admiring some historic architectures. 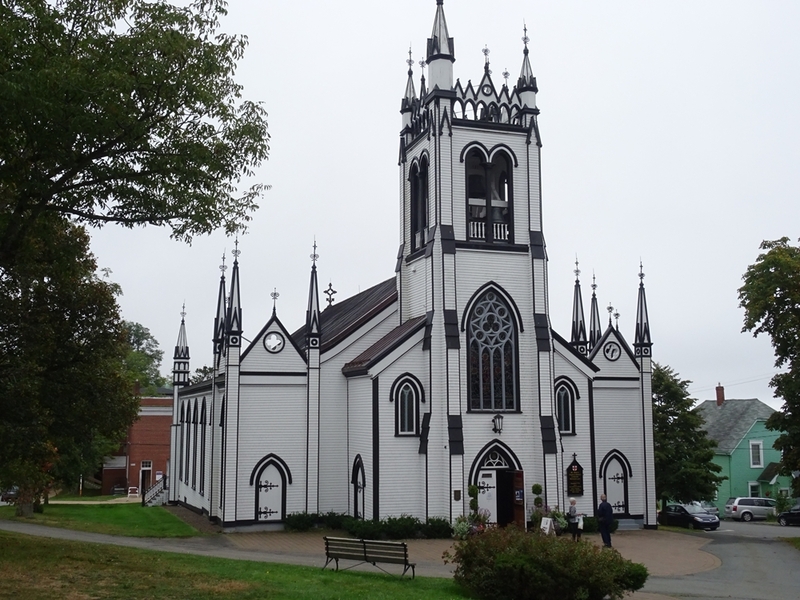 One of the most important buildings in Halifax is St Paul’s Anglican Church which, founded in 1749, is the oldest surviving protestant church in Canada and the oldest building in Halifax. 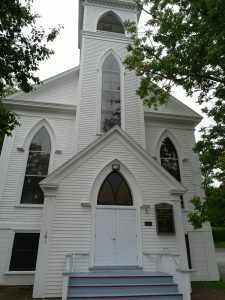 But it is just a rather small church. 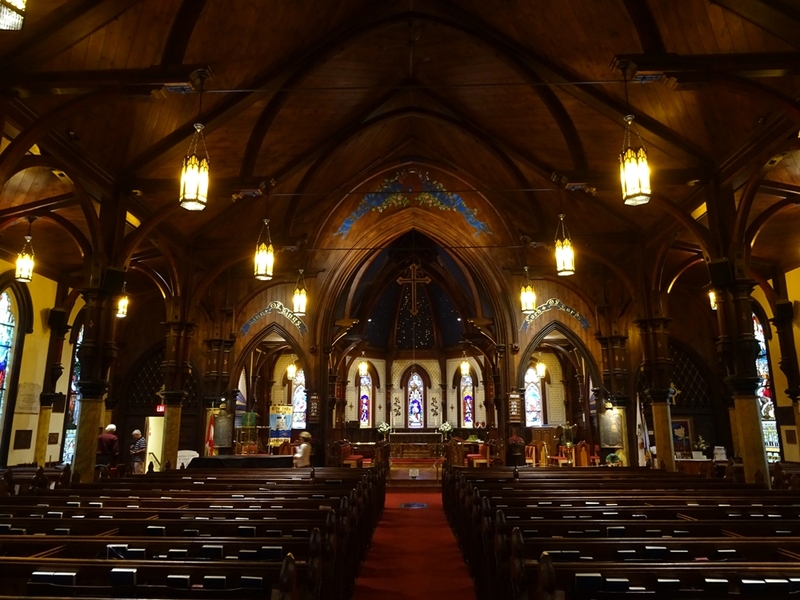 Architecturally speaking, far more impressive are some of the buildings from the beginning of the 20th century. 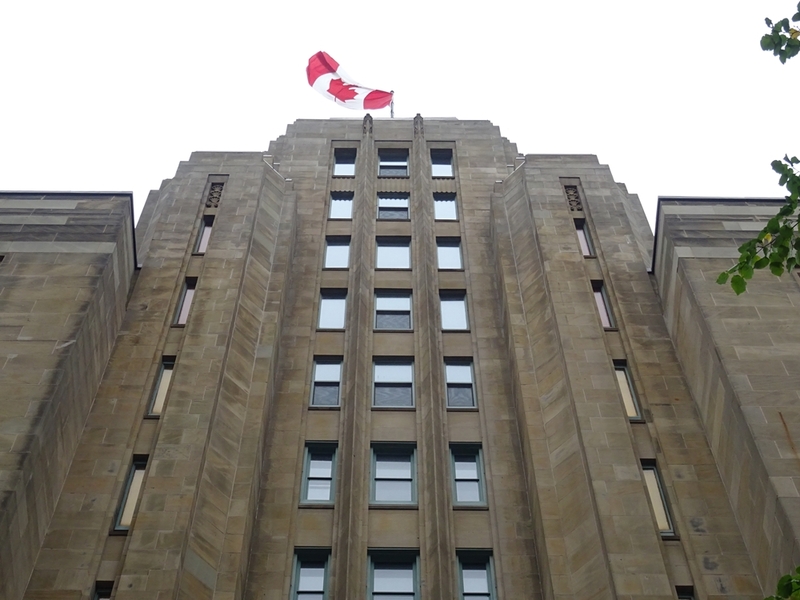 One of them is the Art Deco style Dominion Public Building which was the tallest in Halifax when it opened in 1936. Empire State Building it ain’t but in Halifax it makes quite a landmark. 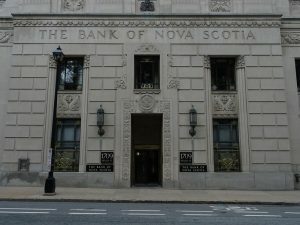 Next to it stands the Bank of Nova Scotia Building, also built in the early 1930s, in style which some call the “Canadian Deco”. 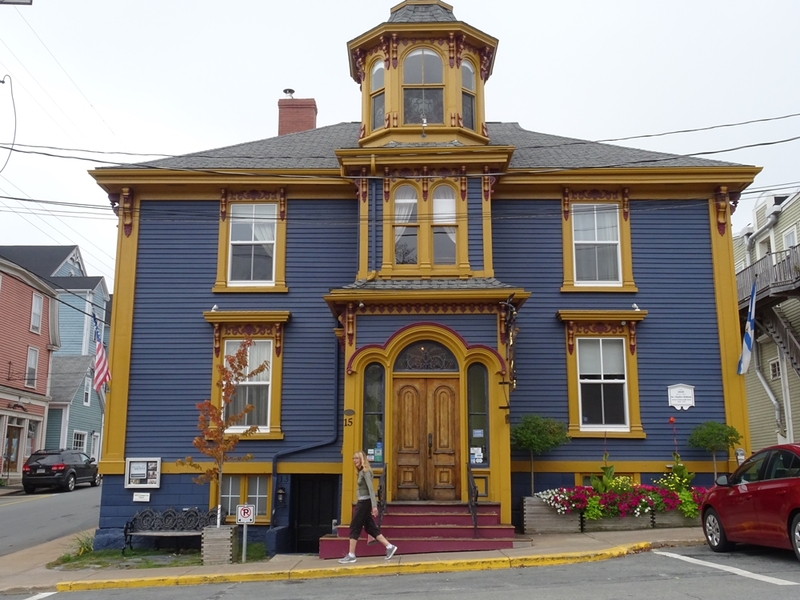 It is an absolutely fascinating structure full of intricate detail depicting flora and fauna native to Nova Scotia but also ships and historical events. 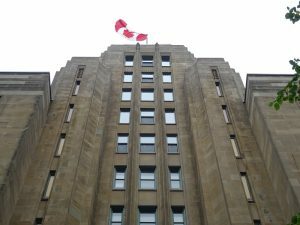 This connection to Canada is typical for architect John M. Lyle who designed similar buildings in Ottawa, Toronto and Calgary. 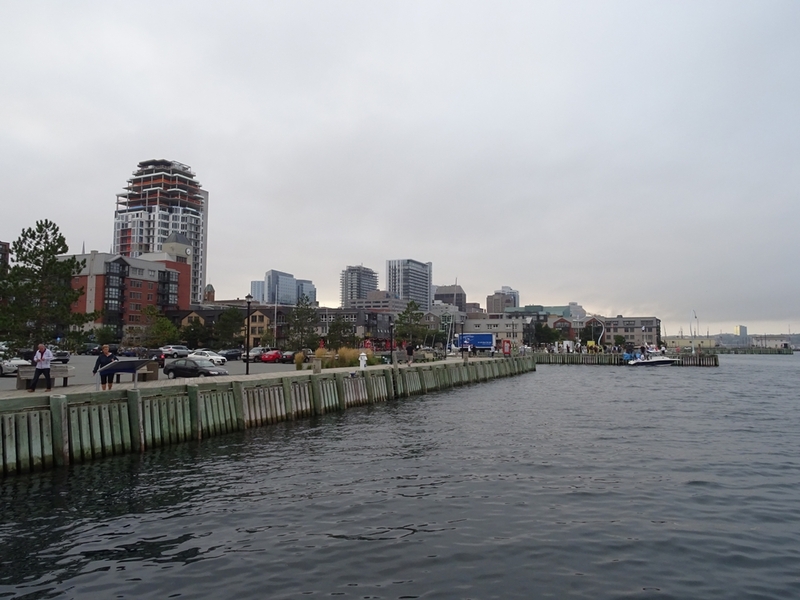 Finally we reached the Halifax harbour. Along the waterfront stretches a boardwalk build of heavy timber which offers great walking opportunities. During our visit it was by far the most lively part of town. Probably the biggest attractions on the waterfront are The Pier 21 Immigration Museum and the Maritime Museum of the Atlantic. However fascinating they may be, it was getting late and it was Sunday, so we decided skip the museums and to relax by simply strolling along the waterfront rather than trying to squeeze too much into our itinerary. It was a good decision and we had a great time people watching but also observing ships entering and exiting the harbour. There were some massive ocean-going vessels but also small pleasure craft as well as ferries crossing the harbour. 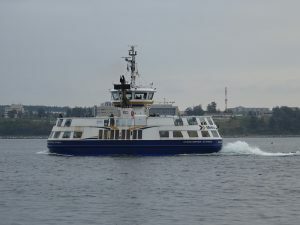 Like Quebec City, Halifax also has its fleet of commuter ferries, connecting it with Dartmouth on the other side of the harbour. One has to be careful with comparisons though as the ferries here are much smaller than the ones in Quebec and they don’t carry vehicles. In fact they look quite a bit like bath toys. But the service started in 1752 which makes it the oldest saltwater ferry in North America and one of the oldest in the world. Unfortunately it was getting late and we didn’t really have any reason to travel to Dartmouth so we didn’t have a chance to experience the crossing. Instead we found a rather nice restaurant and settled for a meal outside, with a view of the harbour. We could dine while still watching ships, ferries and boats. It was great location but I have to say that food wasn’t particularly amazing, in fact it was average at best. Frustratingly the whole “experience” ended up to be rather more expensive than anticipated initially. Here I’m going to moan a bit. If I have to pick up one thing which annoys me in North America is the pricing which exclude the taxes, and the whole tipping culture. Sure, one can calculate things in the head, at least roughly, but it really drives me mad. One always ends up spending more than expected. 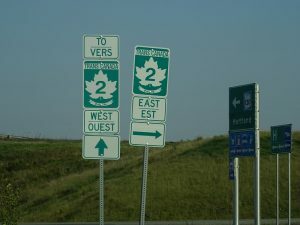 To make things more complicated taxes also differ between provinces in Canada or states in the US. Why they cannot include them in the prices quoted in the menus or on the shop labels? Would that be too easy for the customers? And then I never know how much to tip, I only know it must be more generous than anywhere in Europe. Luckily some local craft beer soothed me eventually so the evening ended well (and the waiter got his tip at the end). 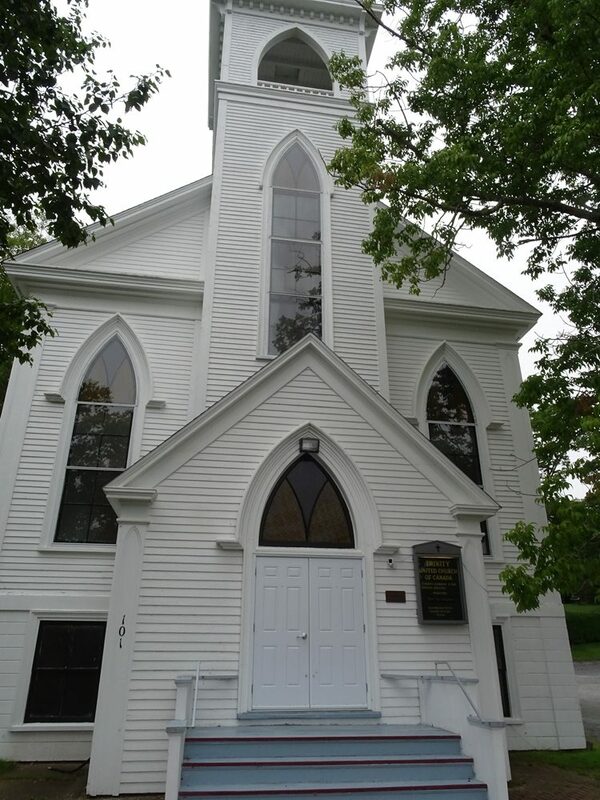 Next day historic communities in rural Nova Scotia were awaiting us so stay tuned. We arrived in Cape Breton after more than a 1200km-long drive from Quebec City. Sure, we could fly but part of the fun when visiting North America is the driving. 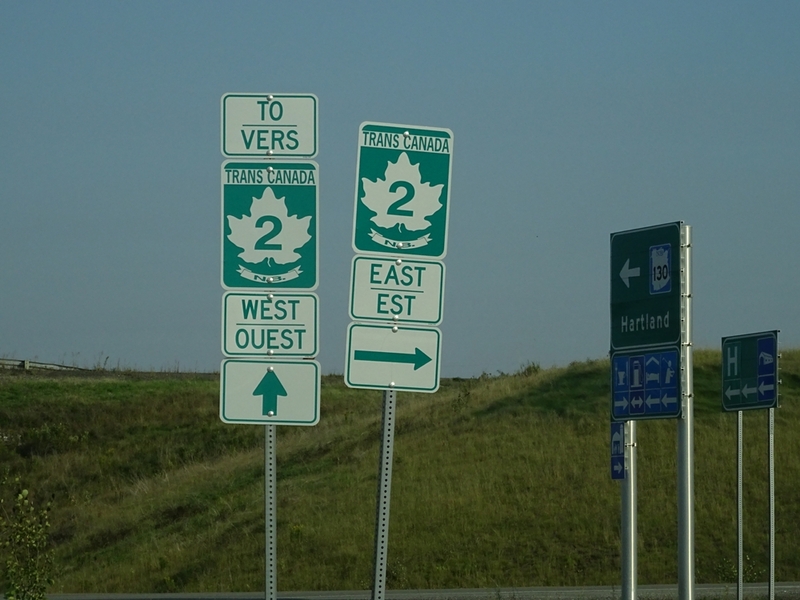 Especially as our route was largely along the famous Trans-Canada Hwy. The road was wide, the weather was good, traffic was light and speed enforcement virtually non-existent. In other words, perfect conditions for a road trip. We chose the city of Sydney as our first stop. Now, don’t confuse it with Sydney in Australia as one Dutch student did when he was booking his flights (he had to call his dad to book his flight home after landing there in winter with only light clothes packed). 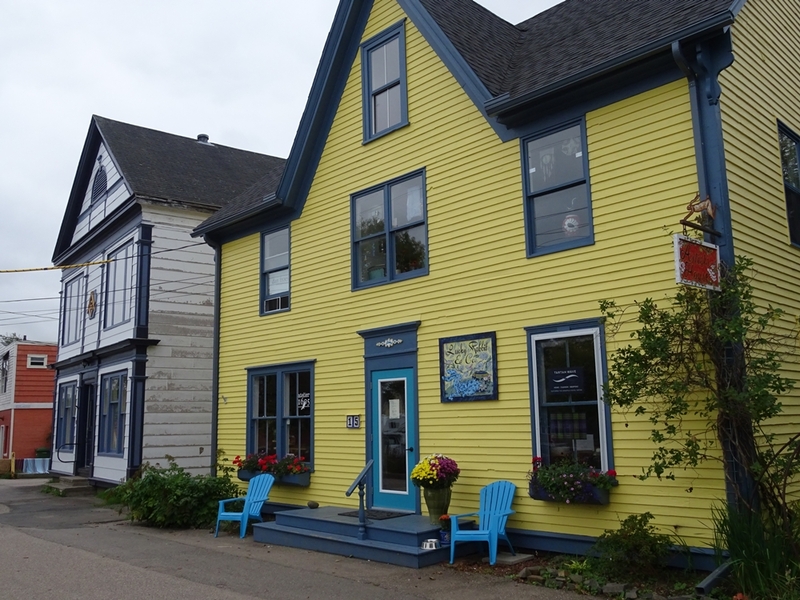 It is a much smaller place, just over 30 thousand people call it home, with some historic architecture and a small pleasant downtown on the waterfront. 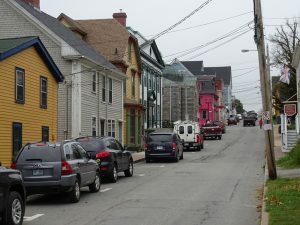 But ultimately it was just just a convenient base to start our exploration of the island of Cape Breton and especially to visit Louisbourg, where we headed the next morning. The small town of Louisbourg is located about 40km from Sydney and the main reason (actually the only reason) to visit it is the Fortress of Louisbourg. 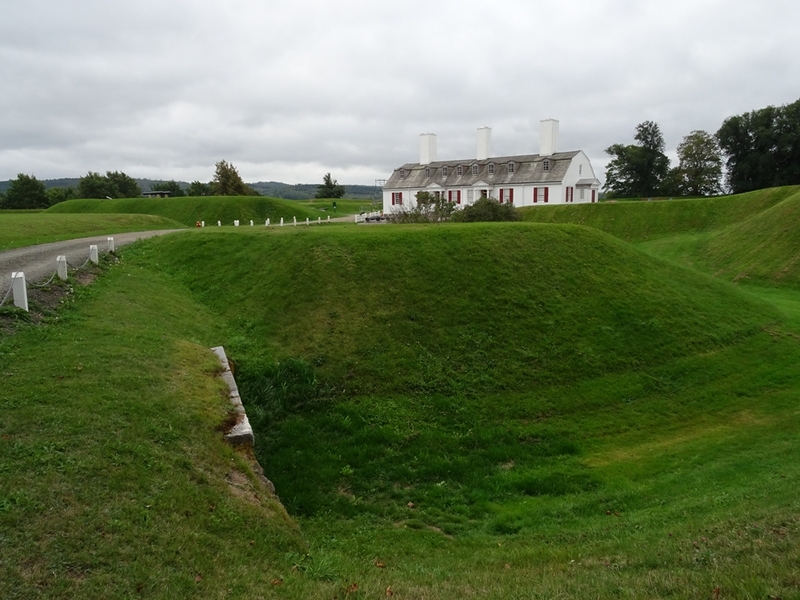 This was in its heyday (between 1720 and 1758) one of the most extensive (and expensive) European fortifications in North America. 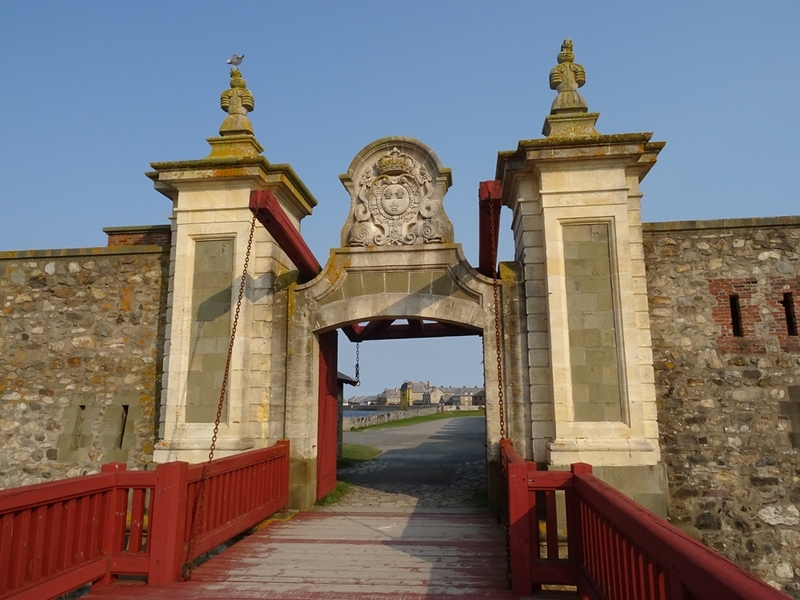 It was built by the French to protect their colonial interests, especially the cod fishing grounds, and it was actually a whole fortified town. 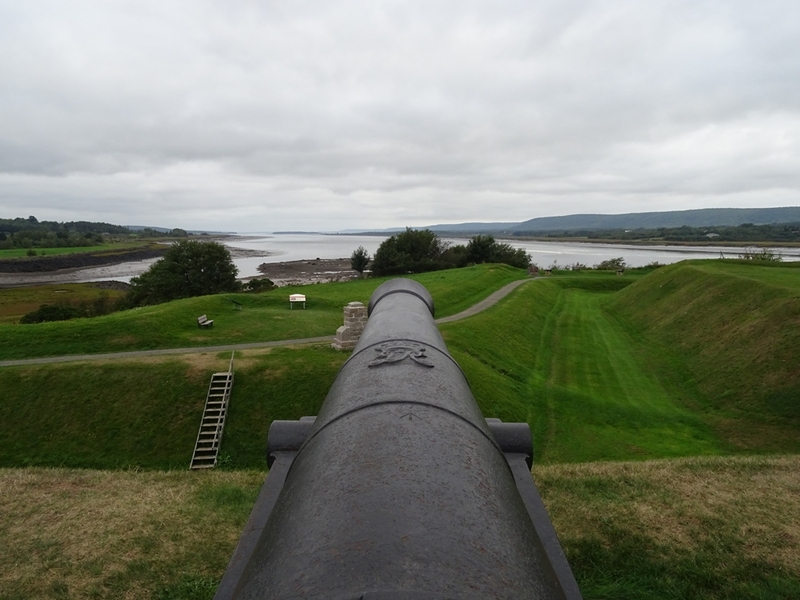 It didn’t last very long as it was destroyed after being captured by the British in 1758. The Brits didn’t need the fortress as they already had Halifax. That was its short early history, now let’s move to the 20th century. The fortress and the town were partly reconstructed in the 1960s and 1970s (using some of the original stonework), which provided jobs for unemployed coal miners from the area. 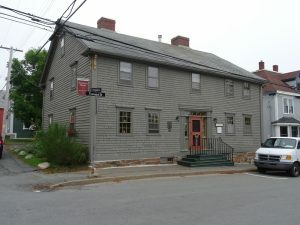 Apparently the site stands as the largest reconstruction project in North America, even if only quarter of the original town was rebuilt. The rest was left as ruins so one can still see the actual historical remains. We are both history, architecture and archaeology geeks so we spent the whole day exploring the site. All the buildings look very realistic as during the reconstruction the original techniques and materials were used as much as possible and the whole project was based on careful research of plans, maps, sketches as well as physical remains. For example the glass for window panes in the King’s Bastion was sourced from a company in France which still use the historic glass making techniques. According to one of the guides it happened to be the same factory that produced the glass for the original building. How cool is that? The site is manned by costumed interpreters which bring the place to life. They answer everybody’s questions, they man the gates, they shoot muskets and even occasionally fire a cannon (or train paying guests to do so). It is all quite fun but the most fascinating thing about the place is the sense of its unique history. One of the weirdest aspects of the whole thing is the fact that the reconstruction from the1960s now stands longer than original fortress ever did. 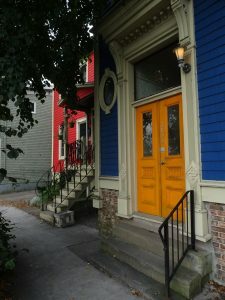 Does it make the current reconstructed buildings more “historic”? Anyway, the day was coming to an end, the fortress was closing, so it was time to move on. 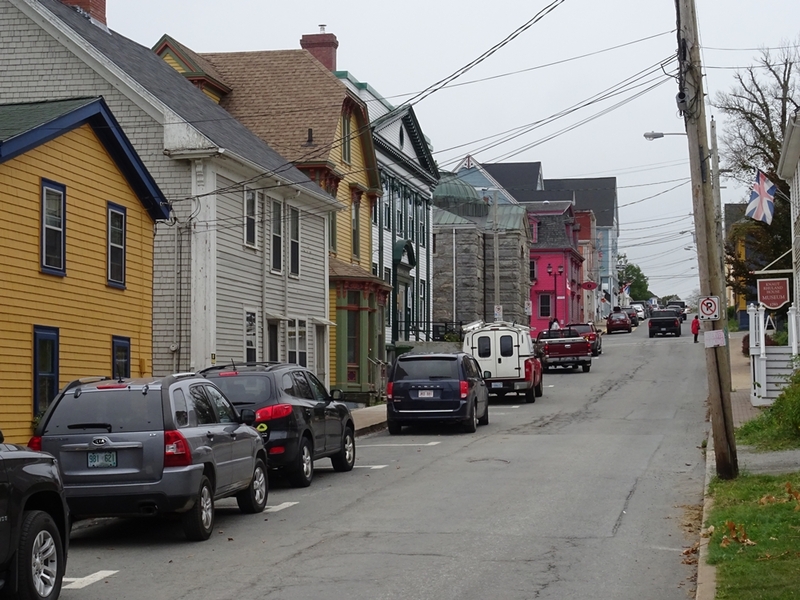 From Louisbourg we drove north towards the Cape Breton National Park, past Sydney, before stopping for a night in a small family-run motel in some tiny community. It was one of those classic small motels where you park the car right in front of your room and where the owner lives on site. We sat on the deck chairs outside our room, watched the sun setting behind a mountain, just across a small bay, and sipped local craft beer which we bought in the liqueur store in Sydney. By the way, alcohol is not easy to buy in Nova Scotia so always buy supplies when you have a chance. It was a fantastic setting for a budget motel. I will take places like that over any fancy or hip hotel in the likes of NYC or LA. 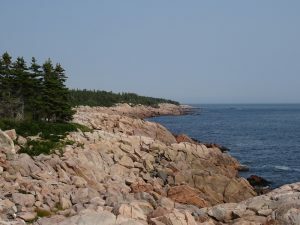 The next day we finally entered Cape Breton National Park and started following the famous Cabot Trail, a scenic road which encircles most of the national park. We started on the east side of the park and travelled in a counter-clockwise direction. In the morning the weather was glorious so we kept stopping in numerous picturesque coves and in some small settlements. 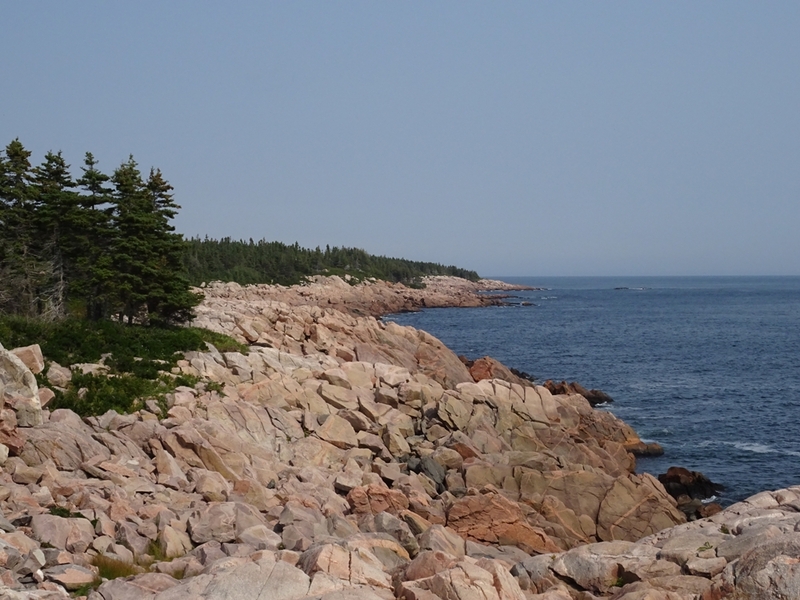 This part of the coast, with its pink granite, reminded me of parts of the coast of Brittany. I can imagine the original French settlers to the region could have had the same impression. I can see why they settled in this part of the world. Moving at rather leisurely pace by the afternoon we finally reached the west coast of Cape Breton. Unfortunately at that stage the weather was turning worse. Which is a pity as the west coast of Cape Breton happens to be more spectacular than its eastern counterpart. 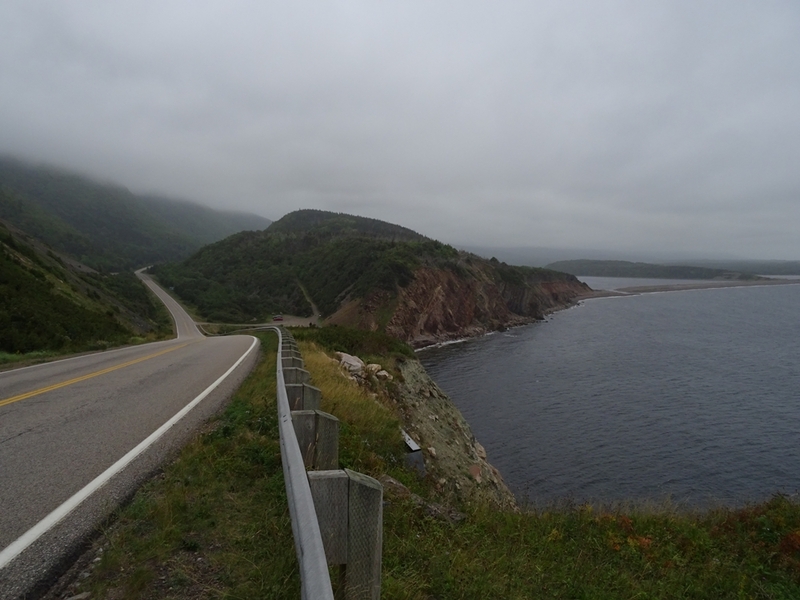 Here Cabot Trail hugs the coast, in places climbing dramatically around promontories where it offers some amazing views. This part of the road reminds me of the famous Pacific Coast Hwy in California. 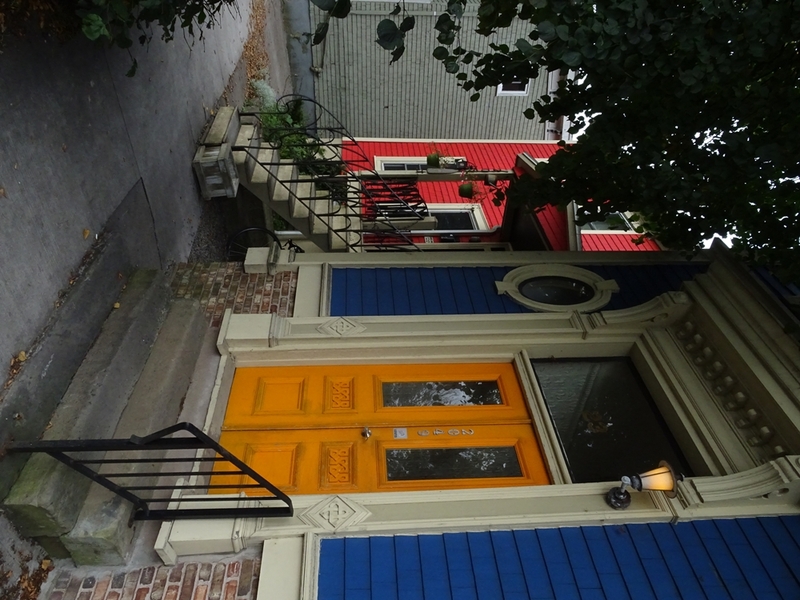 The only difference is that the spectacular stretch is much shorter here in Nova Scotia. When we stopped at the first viewing point it was still sunny and we could admire a fantastic panorama. But in a few minutes clouds and fog closed in and the views were pretty much gone. 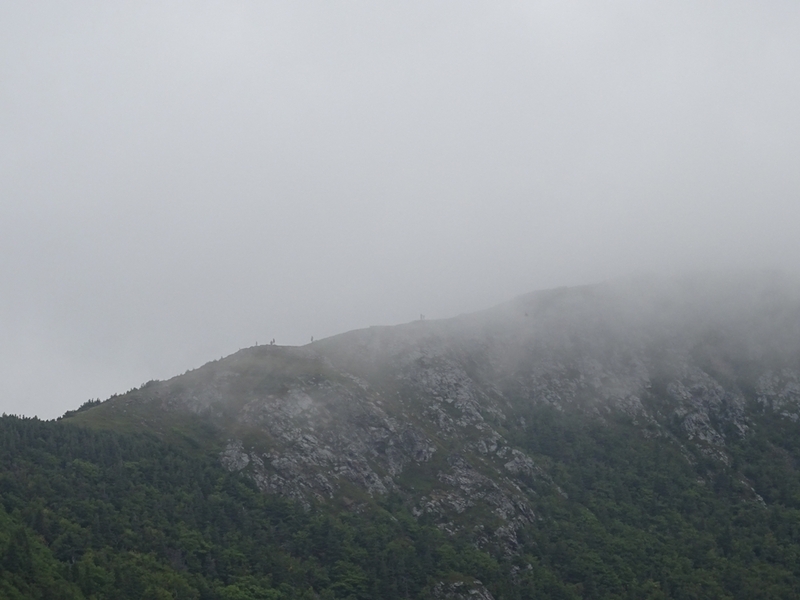 In some stretches, where the road climbed higher, I could barely see in front of the car as the low clouds limited visibility to a few metres. Annoyingly it was then when we approached the most spectacular part of the coast and the starting point of the Skyline Trail. 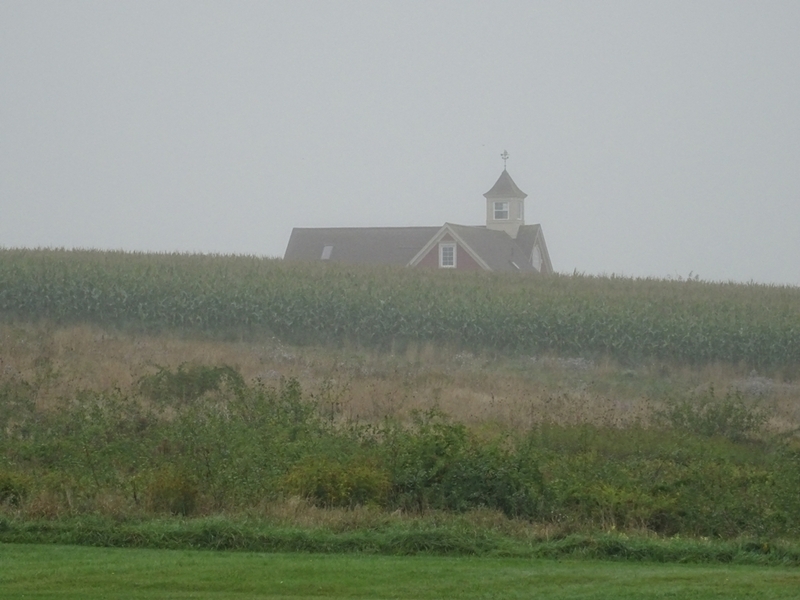 It was so foggy and drizzly around the parking area that we decided to skip it and continue our drive along the Cabot Trail. However after a few minutes we reached a lower elevation and noticed that there were some clear spells in the clouds and banks of fog covering the trail. We immediately returned to the trailhead. It didn’t look much more promising than before but we decided to head for a walk regardless, hoping for some good luck with the weather. The trail length is just over 3km (6,5 km return) and it ends at a dramatic headland which is supposed to offer some breathtaking views. Unfortunately as we kept walking things looked pretty bleak. I mean we really couldn’t see much. 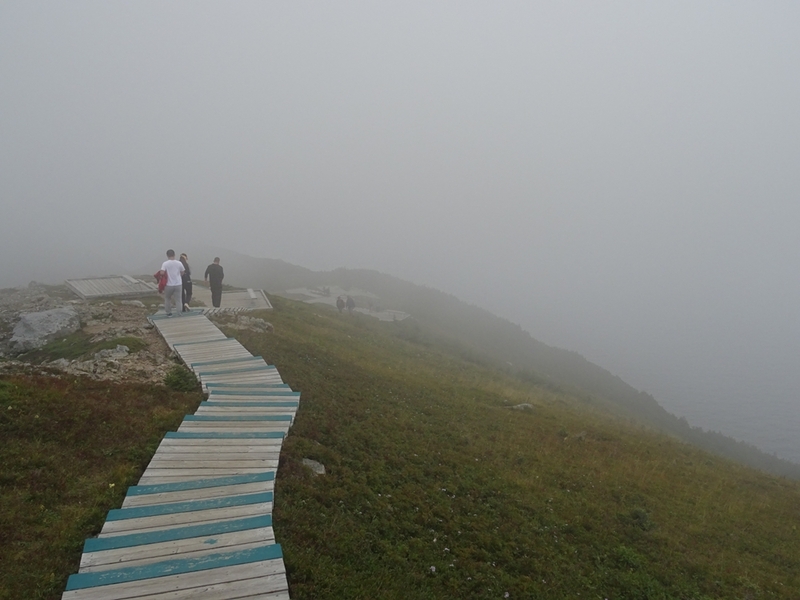 Fortunately towards the end the trail goes down to the cliffs and at this lower elevation we could see at least some nearby rugged coast, even if only for brief moments between rolling banks of fog (or low cloud, depending on your perspective). Maybe it wasn’t the picture-postcard perfect moment but at least we saw something. Were we disappointed? Well, I guess to some degree we were, but on the other hand it was actually interesting to see the place as it often looks. The weather in Nova Scotia is generally a bit less glorious (or some would say more dramatic) than the travel posters would want you to believe. From the Skyline Trail we continued our drive south along the west coast of Cape Breton. Once the road reached closer to the sea level the visibility improved and we could see more of the picturesque coast which in places really looked just like the world famous Big Sur in California. 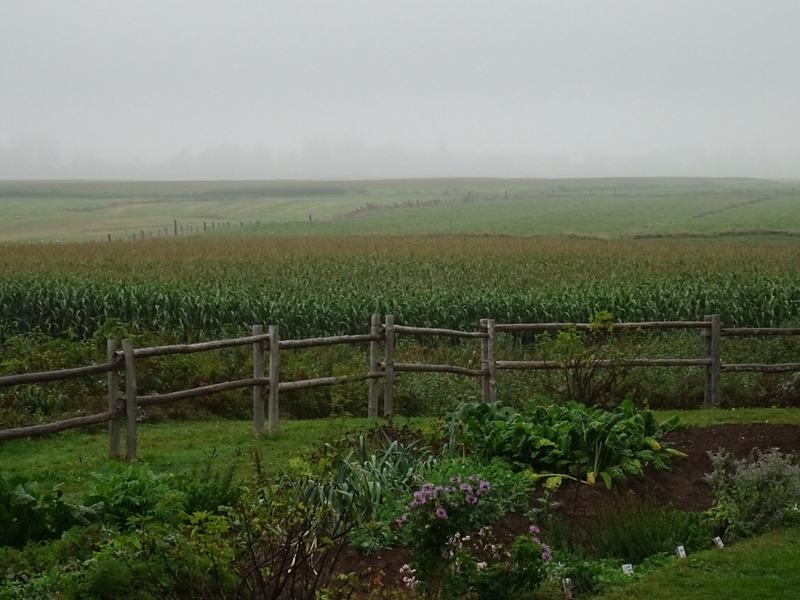 It was however still rather grey and gloomy which made everything look wild and mysterious. It was actually really fun to drive it in such conditions. After leaving the national park we continued past numerous small communities dotted along the coast, places with names like Inverness or Dungevan. Just in case anyone has doubts about the origin of the people who settled here most places along the road welcome travellers with bilingual signs, in Scots Gaelic as well as in English. There is even a single malt distillery along the way. You would think that you can’t make things any more Scottish without heading to Scotland itself. Well yes, but only partially. 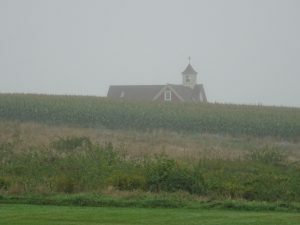 The heavily forested landscape as well as the architecture really resemble New England rather than Scotland. Anyway, it doesn’t really matter. 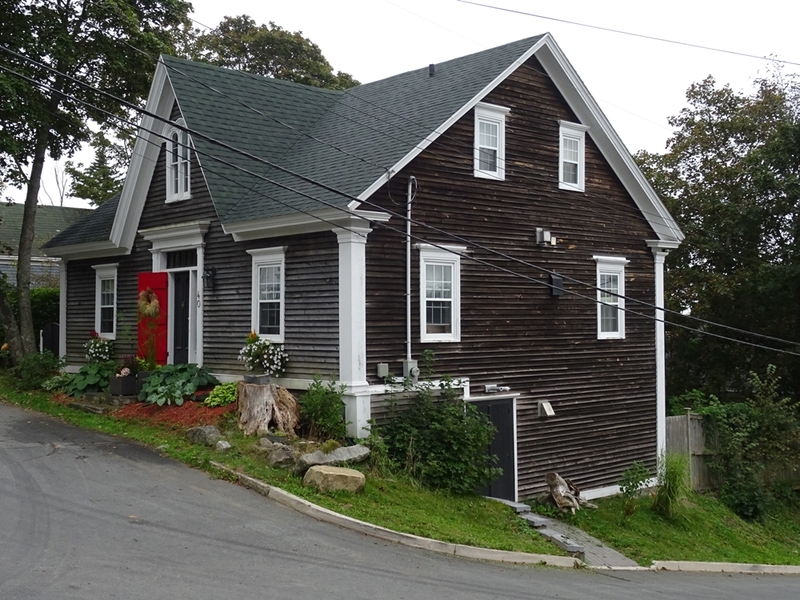 What matters is the fact that Cape Breton is a really interesting part of the world, offering spectacular landscapes and fascinating history. We ended our tour of the island by stopping in yet another small, family-run motel, which was located right next to a local restaurant. How convenient. 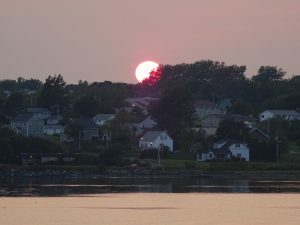 Anyway, the next day we will be heading back to the “mainland” Nova Scotia, but more about it soon. This entry was posted in Uncategorized and tagged Cabot Trail, Cape Breton, Louisbourg, Nova Scotia, Skyline Trail, Sydney on March 29, 2018 by admin.